This short-sleeved top is captivating because of its sober elegance. This short-sleeved top is captivating because of its sober elegance. 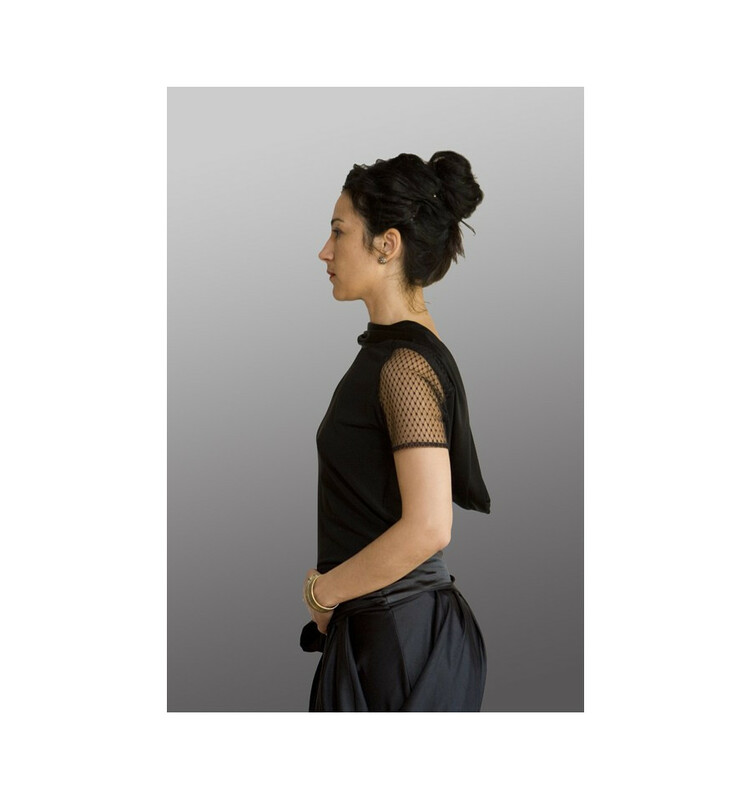 The deep black of the body playfully combines with the shining black hanging collar and the black lace of the sleeves to create a one of a kind top that is a great compliment to your wardrobe of evening wear clothes. What makes this tango top particularly attractive is its hanging collar and the plunging neckline at the back. Alternatively, you can wear the top the other way round and have the deep neckline at the front. The raglan sleeves and the stretch fabric adapt perfectly to the body. This top has a very youthful air. la encuentro muy sensual y comoda. Por cierto muy buena tela! Lo combino con muchas prendas hasta con jeans. Das Top sitzt perfekt, der Stoff schmiegt sich an den Körper an ohne etwas abzumalen. Der weitausgeschnittene Rücken sieht einfach toll aus. Ich trag den Ausschnitt manchmal auch vorn. Toll!